You work hard. When you go to bed the last thing you want is to lay down on rough, wrinkled sheets that don’t even fit your mattress. And you probably don’t want to spend a lot of time ironing your sheets either. Despite popular belief, you don’t need to pay a fortune for the best wrinkle resistant sheets. Sure, the cheapest ones out there won’t last very long. However, no-compromise affordable, soft, and anti-wrinkle sheet sets do exist. What you’ll like about them: A 6-piece sheet set from a company known for great customer service. Buying sheets online can seem like a gamble, but you can relax knowing that CGK Unlimited takes care of their customers if there’s a quality issue with their sheets. Their hotel luxury bed sheets are made using high quality brushed microfiber for durable sheets that are weightless and very soft. Brushed microfiber is just as soft (if not softer) than Egyptian and organic cotton. Since this material is very thin and breathable, it’s also the best choice for allergy sufferers because it prevents the build-up of allergens. In addition to being wrinkle-free and hypoallergenic these sheets are also stain-resistant and easy to clean. Available in various sizes from twin to king, these cool-to-sleep-in sheets come in a 6-piece set with a flat sheet, a fitted sheet, and four pillowcases. This set fits mattresses up to 16 inches deep. Pros: 12 color options, bulk discounts. Cons: sheets may pill after washing. What you’ll like about them: Sheets that keep you cool during the summer and warm in the winter. Utopia Bedding’s soft brushed 4-piece microfiber sheets are processed so that they’re wrinkle, fade, and stain resistant. This 4-piece set is available in sizes twin to king and comes with a flat sheet, a fitted sheet, and two pillowcases. If you’re looking for easy to iron sheets that are exceptionally soft and cozy, these sheets come highly recommended. They’re also great because the material is breathable and repels dust mites. Made in a solid color with a plain weave. It fits mattresses up to 16 inches and there’s 4-inch hem on the flat sheet, Utopia Bedding’s wrinkle free sheet set is simple but luxurious. This set is also machine washable which means low maintenance, easy cleaning. Cons: material is a little thin, wrinkles best avoided when put straight on the bed after washing. What you’ll like about them: This sheet set is OEKO-TEX Certified free of harmful substances. Bare Home’s 100% 1800-series microfiber bed sheet set is double brushed for superior softness while maintaining the features people love about microfiber. These sheets are hypoallergenic, so great for people with allergies, and breathable so you don’t get too warm at night. This 4-piece set is available in sizes twin to king and comes with a fitted sheet, a flat sheet, and two pillowcases. The fitted sheet fits mattresses up to 15 inches. Microfiber is what makes these sheets wrinkle resistant, as well as shrink, fade, dust-mite, and stain resistant. One thing people love about this set is that the elastic in the fitted sheet goes all the way around, so it stays on your mattress better and is less likely to shift as you sleep. They’re machine washable too, so cleaning is a breeze. Pros: 27 color options, 30-day risk free 100% satisfaction guarantee, great for deep pocket mattresses, hypoallergenic. Cons: material is a little on the thin side. What you’ll like about them: A luxurious sheet set that’s eco-friendly and made in the USA. Zen Bamboo’s 4-piece sheet set is available in various sizes from twin to king. They’re made with 60% 1800-series brushed microfiber and 40% rayon derived from bamboo. The high-quality materials used for these sheets keeps them fresh and wrinkle free in between washes, and more durable than standard cotton sheets. This set is hypoallergenic, stain, fade, and dust-mite resistant; ideal for anyone with allergies or anyone who wants a low maintenance sheet set. Low maintenance doesn’t mean that you need to compromise when it comes to quality though! These no-iron sheets may be easy to care for, but they’re also ultra-soft and comfortable enough to impress even the biggest sheet snob. Pros: 12-color options, 30-day satisfaction guarantee, eco-friendly, hypoallergenic. Cons: some customers find these sheets retain the heat. What you’ll like about them: These sheets are soft as 1500 thread count Egyptian cotton and ideal for people with allergies. Elegant Comfort’s 4-piece microfiber sheet set is extremely soft and comes in sizes twin to king. It includes a fitted sheet, a flat sheet, and two pillowcases. If you want sheets that are breathable but also warm for when cooler weather hits, this sheet set is a great option. Since they’re hypoallergenic and antimicrobial, these sheets are perfect for people with allergies or sensitive skin. Other perks of these sheets are that they’re wrinkle and fade resistant. They’re also machine washable and fit mattresses up to 16 inches, with an elastic all around the fitted sheet to ensure that it stays snuggly on your mattress. Pros: Durable, 20 vibrant color options, 100% satisfaction guarantee, good value for money, classy. Cons: May not fit well on pillowtop mattresses. What you’ll like about them: This sheet set comes with four pillowcases and you can return it at any time if you aren’t satisfied. SONORO KATE’s 6-piece microfiber sheet set mimics the softness of 1800 thread count luxury Egyptian sheets. These sheets are wrinkle, stain, and fade resistant, so they look great each time you wash them and put them on your bed. To achieve a perfect fit, these sheets are even shrink-resistant, with 16-inch-deep pockets to fit most mattresses. Available in sizes twin to king, these sheets are machine washable with no ironing necessary. 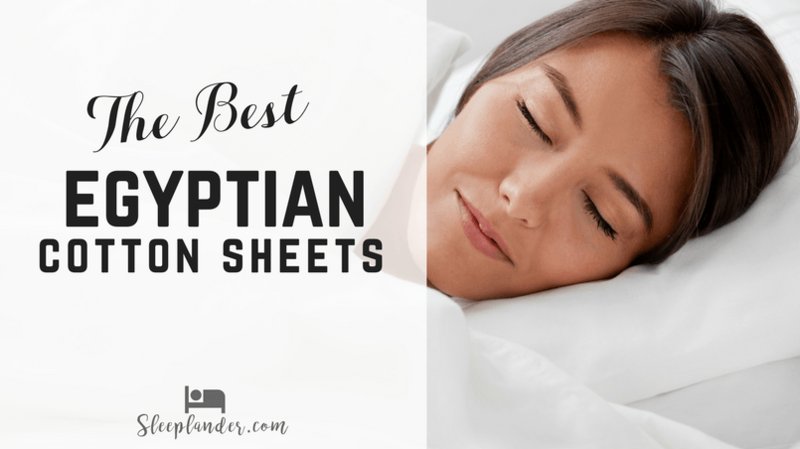 With these sheets you save time and money and get a super silky, comfortable night’s sleep. Since microfiber is hypoallergenic, these sheets are a good choice for allergy sufferers. They are durable and warm, yet breathable, which is why they’re a customer favorite. Pros: 7-color options, great customer service, fade resistant, hypoallergenic. Cons: Material is a little thin. What you’ll like about them: A soft, hypoallergenic sheet set with an Unconditional Lifetime Guarantee. Harmony’s Sweet Sheets comes in a 4-piece set that’s available in sizes twin to king. The set comes with one flat sheet, one fitted sheet, and two pillowcases. These sheets are made of 1800-series double brushed microfiber, which is wrinkle, fade, and stain resistant. Stronger than cotton but silky soft, these sheets are machine washable and fit mattresses up to 16 inches. They’re also super breathable so you don’t get too warm at night. Harmony is known for having great customer service, so if you have any issues with your sheets you know that the company will back you up. Since the material is hypoallergenic, this sheet set won’t trigger any allergies or respiratory issues you have. Pros: 26-color options, unconditional lifetime guarantee, can order extra pillowcases. Cons: may not fit all king size beds. What you’ll like about them: This deep pocket sheet set fits mattresses up to 18 inches and the company also offers specialty sizes. MALOUF’s 4-piece double brushed microfiber sheet set is luxuriously soft and wrinkle resistant. These sheets have a more breathable weave and are softer than most cotton. In addition to being wrinkle free, these bed linen sheets are also fade and stain resistant. The material makes them hypoallergenic, which means they are more resistant to the buildup of allergens (including dust mites) than other materials. Customers love these sheets because of the high-quality materials and durability. The fitted sheet is fully elasticized, so it doesn’t slip off the mattress, and they don’t need ironing after they come out of the washing machine. Pros: 17-color options, don’t leak color in the wash, fits mattress depths from 6″-18″, hypoallergenic. Cons: may be too warm for some people. A fresh, neatly made bed is luxurious to slip into at night. A bed with rough, wrinkly sheets that constantly come off your mattress on the other hand, is not ideal. Choosing the best wrinkle resistant sheets for your needs depends on a few different factors. For example, you don’t want to buy sheets that claim to be the most wrinkle resistant EVER, only to discover that they’re not comfortable at all, or they’re not the right size for your bed. When looking for wrinkle resistant sheets, you want to choose a fabric that doesn’t absorb a lot of moisture. Synthetic fabrics like polyester and nylon tend to be wrinkle-resistant, because they’re drier, but they can also get warm. 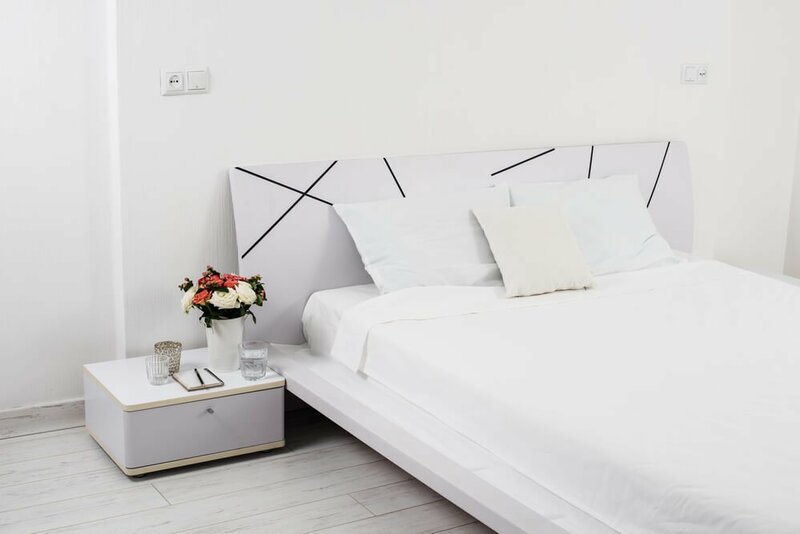 Microfiber is a great fabric for sheets because it’s is hypoallergenic, breathable, durable, lightweight, water repellant, and wrinkle resistant. 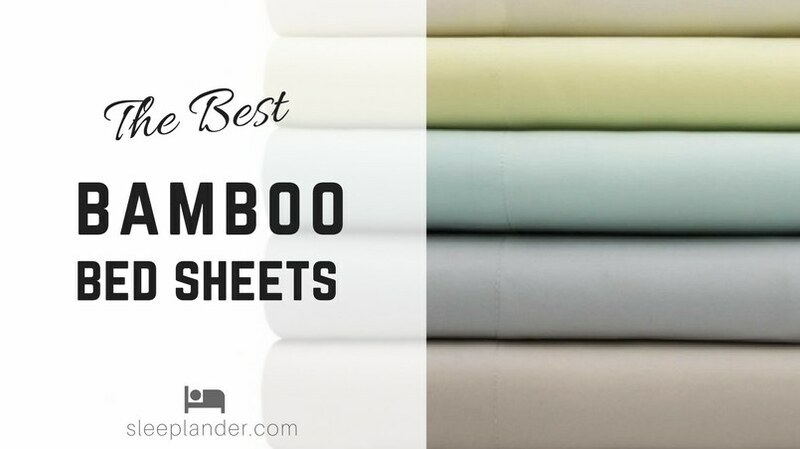 Bamboo sheets are also popular because they’re naturally hypoallergenic, cool, and dry. Wrinkle-resistant sheets are excellent, but they won’t do you much good if they don’t fit your bed. When ordering linen sheets online, pay close attention to the size of the sheets. Most listings give you the dimensions of the flat sheet, fitted sheet, and pillowcases. They also usually note how ‘deep pocket’ the fitted sheet is, meaning how many inches deep the mattress can be for a good fit. Having a proper fit on your mattress also ensures that your sheets stay wrinkle free longer. If the fit is looser the fitted sheet may slip or come off and get all wrinkled in the process. When the sheet fits snuggly, it’s stretched over your mattress enough to avoid wrinkles. It’s great that you can order affordable sheets from the comfort of your own home, delivered right to your door! 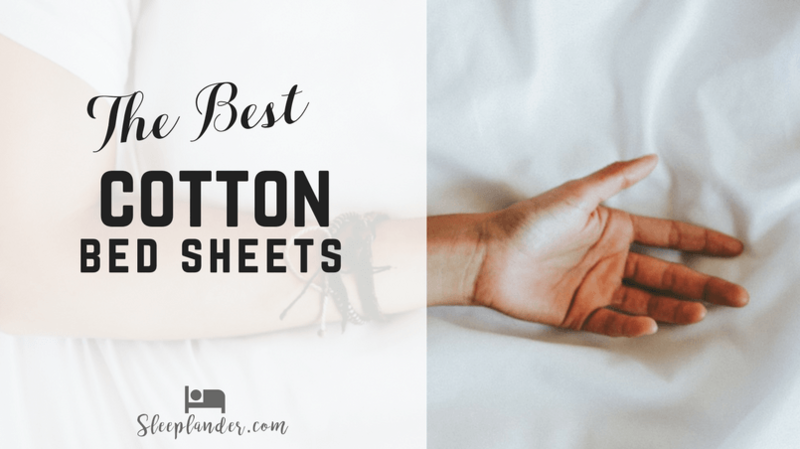 These sheets have a lot of the same features as sheets you would pay more for at a department store, so why not give them a try? Before you buy make sure you look at reviews from customers to see what their experience was like. Returning online purchases can be a hassle, so avoid it if you can. Companies known for good customer service are best because if there’s a quality issue with your sheets, you won’t be out the money. What Are YOU Looking for in a No Iron Sheet Set? Your personal preferences will also impact what wrinkle resistant sheets you choose. For example, if you tend to sleep warmer, you’ll need cooling sheets. Another thing that comes up with microfiber sheets that a lot of people don’t think about is that they’re quite thin. If you have a patterned mattress you may want a different material (or a darker color) so you won’t see through the sheet. The best wrinkle resistant sheets will only last if you take good care of them. If you don’t follow the care instructions and throw your sheets into your closet unfolded, they will get wrinkled. If you follow the care instructions and take good care of your sheets, they should last a while.